What a funny name these lovely simple cakes have. I’m sure they get their name from the fact they are suppose to resemble rocks in appearance and not because they are rock hard! 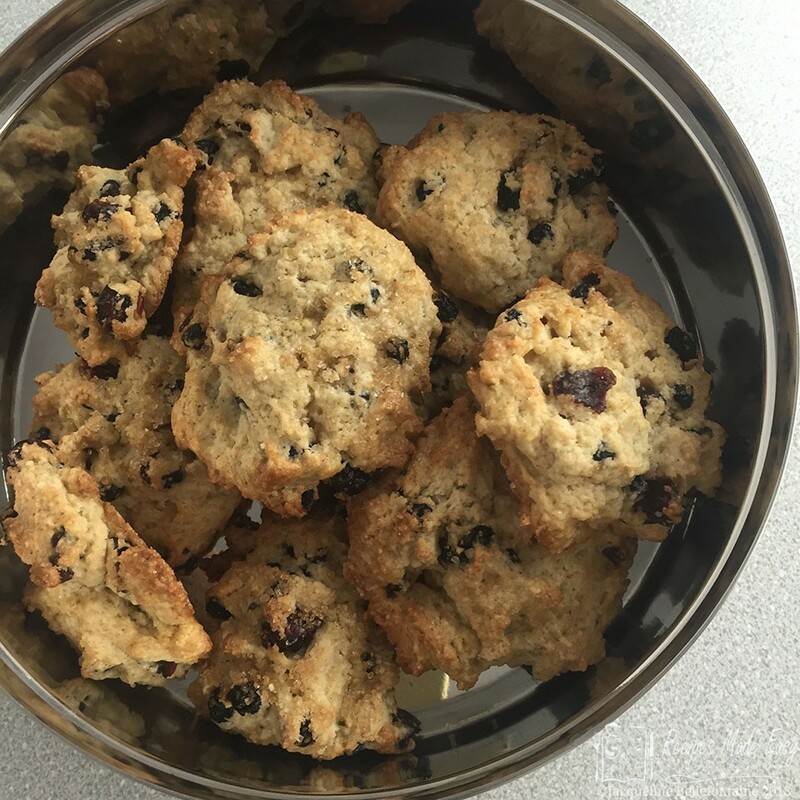 Anyway, rock cakes are probably the first thing I ever cooked, certainly as far as I remember. As my dad was a baker, my mum never made cakes at home. Although mum was not much of a cook (I get that from my dad) she did make fantastic pastry and a mean Yorkshire pudding. I still can not make Yorkshire pudding as good as hers. Perhaps because at the time I was too young to be allowed into the bakery itself, the first time I remember baking anything was for a Brownie badge. I can still picture the kitchen in Brown Owl’s house and the end results, but for the life of me can remember who it was that taught us how to make them. Every now and then I make them again, just because they are so quick and simple to make, and taste good. 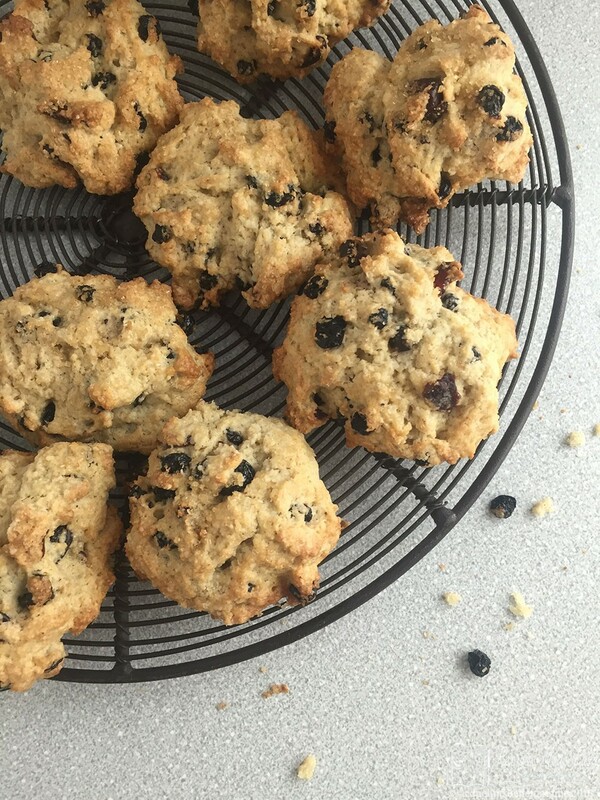 Somewhere between a a scone and a cookie, they take just 10 minutes or so to weigh up all the ingredients, mix and shape. Then into the oven for about 15 minutes to bake. Ideal for when you want a quick tasty treat or, in my case, a trip down memory lane. 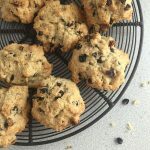 Traditionally made with sultanas and mixed peel, I have given these ones a more modern twist by adding dried cranberries and blueberries. 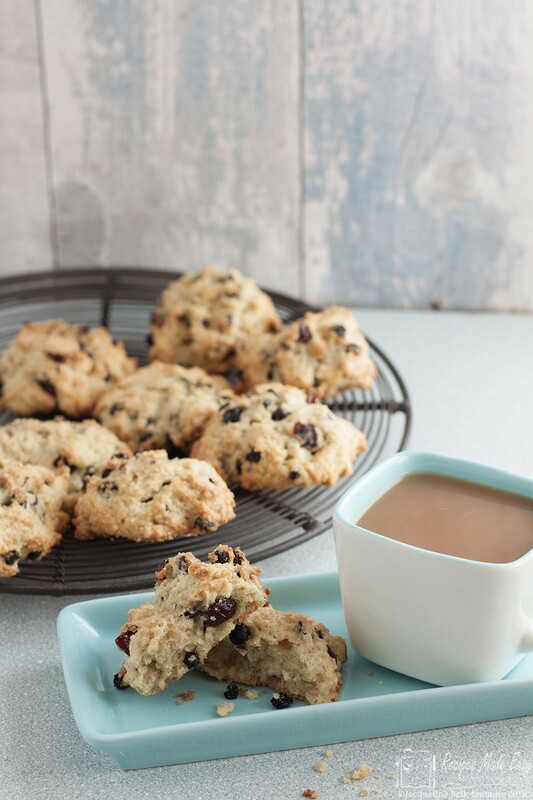 Perfect with a cup of tea. Knock up a quick batch yourself or, if you have little ones, get them to give you a hand. If you don’t eat them all straight away they will keep a day or two in an airtight container. Preheat the oven to 190℃ /170℃ fan/gas mark 5. Lightly grease a baking sheet. Sieve the flour, baking powder and spice into a mixing bowl. Add the butter and rub in until the mixture resembles fine breadcrumbs. Drop spoonfuls of the mixture onto the baking sheet. sprinkle with demerara or granulated sugar. Bake for 15-20 minutes until pale golden. 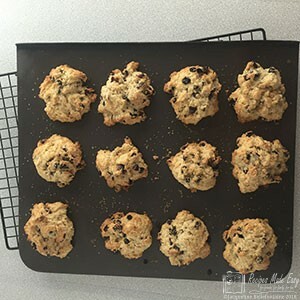 allow to cool for 5 minutes on the baking sheet then transfer to a wire rack to cool completely. 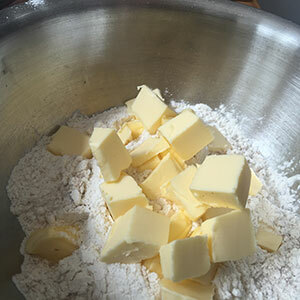 Rub the butter into the flour with your fingertips until the mixture resembles breadcrumbs. Stir in the sugar and fruit. Add enough milk to mix to a sticky dough. Place soonfuls of the mixture on a greased baking sheet. Sprinkle with a little demerara sugar.